Heraklion is a port city and the capital of the island of Crete in Greece. Crete is Greece’s largest island known for its varied terrain, which includes both mountains and beaches. Heraklion is well-known for its archaeological sites that date back to the Minoan civilization. There’s a plethora of things to do while in Heraklion. Here are just a few that you can enjoy with your family. Knossos Palace is a Minoan palace that is over 20,000 square meters. It is the largest of the Minoan palatial structures. The original Knossos Palace was built around 2,000 BC, but was destroyed in an earthquake around 1700 BC. No time was wasted in building the newer palace. During the middle of the 15th century BC, the Achaeans took over the island of Crete and the palace. The palace of Knossos contained 1300 rooms and four wings that are arranged around a central court. The labyrinth ruins and red columns are a must-see when visiting Heraklion. 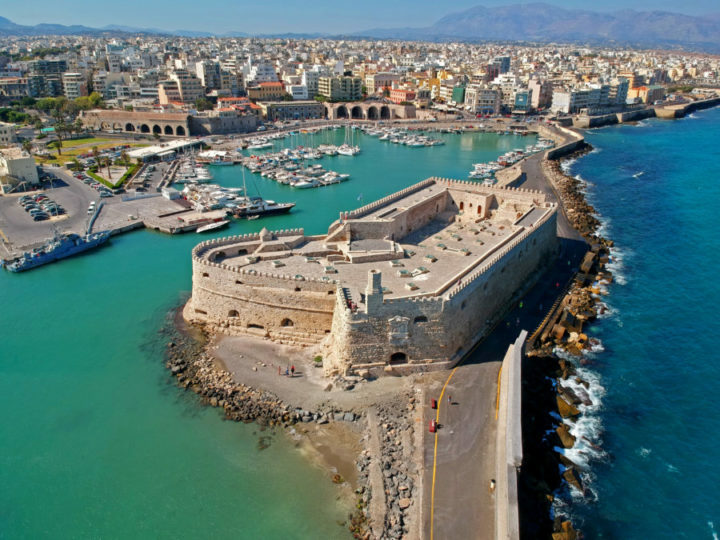 The Fortress of Koules is located at the entrance of the old port of Heraklion. It was built by the Republic of Venice during the 13th century. The Fortress of Koules is a Venetian castle. “Koules” means fortress in Turkish. When it was built, the fortress was intended to be storage for food and military supplies. It was also a prison and quarters for the officers. When the fortress was destroyed by an earthquake in 1303 and was rebuilt later by the Genoese. Another restoration of the fortress would be completed by 1540 and that’s how it is seen today. The architecture is Venetian style. The view from the fortress is quite amazing and you’ll find historical information scattered throughout as you explore. Approximately 70 km south of Heraklion you’ll find the Caves of Matala. Matala is the most ancient village in Crete. What’s left of this former fishing village now lies under the sea. 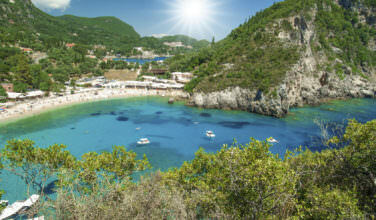 The artificial caves are built on the coastline of Messara Bay. The caves were first carved and used as dwellings and places of worship dating back to the prehistoric period. 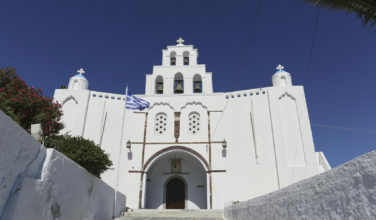 During the 1st and 2nd Century they would be used as tombs. The caves are surrounded by beautiful turquoise sea and gorgeous sand. Matala Beach is one of the most popular beaches in Greece. 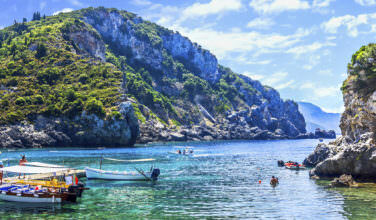 It is located approximately 65 km south west of Heraklion. The beach runs 300 meters long and features light golden sand and beautiful water. There are sun beds and umbrellas available for rent. You will find amenities and accommodations near by. This is a great beach to visit if you’re in the area exploring the Caves of Matala. Just 5 km from Heraklion, you will find another gorgeous beach called Amoudara Beach. This beach also boasts golden sand, clear water, facilities, and accommodations and taverns nearby. If you’re looking for a day of relaxation, swimming, and sunning, this is a great spot for your family. 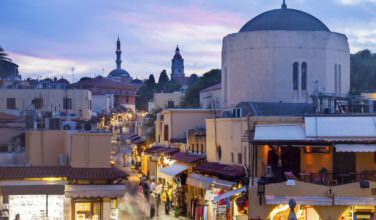 When visiting Heraklion, you won’t be at a loss for things to do. If you want to immerse yourself in history or just sunbathe, there is something for you in this city and in the surrounding area.